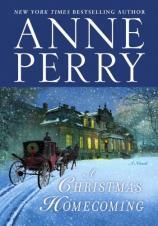 Anne Perry brings us her annual Christmas mystery with the release of A CHRISTMAS HOMECOMING. For nine straight seasons, she has issued holiday-inspired mysteries featuring both stand-alone stories and tales involving some of her recurring characters. "A CHRISTMAS HOMECOMING...will chill you as you sit by a warm fireside and prepare for another holiday season." Before “Dracula” is deemed ready for a run in London’s theatre district, the Netheridges have provided their own “theatre” space at their Whitby mansion for the cast to gather and work on fine-tuning the play. Joshua has handled the adaptation as well as agreed to play the antagonist --- Count Dracula himself. Other guests include actors playing key roles, like Vincent Singer as Van Helsing, and Lydia Rye as the female lead and Dracula’s first victim, Lucy Westenra. The weekend guests are rounded out by other actors in smaller parts, including the Netheridges’ own daughter, Alice. Joshua has had challenges adapting Stoker’s popular novel for the stage and has pared the play down to one hour, cutting out a handful of key characters in this effort. Things seem to be moving at a plodding pace until a knock on the door startles the group. In the beginning of what appears to be a violent snowstorm, a mysterious stranger turns up on the Netheridges’ doorstep seeking shelter until the storm passes. Calling himself Mr. Ballin, he is taken in and given food and shelter in a display of Christmas good will. Ballin also has the opportunity to watch the rehearsal process. He slowly begins interjecting key insights into the production --- showing both first-hand knowledge of Stoker’s source material and an uncanny perception into the “undead” creatures known as vampires. Ballin’s insights are so on the mark that Joshua and the theatre troupe begin taking his suggestions and even allowing him to portray characters on stage during rehearsals. Of course, not everyone involved is thrilled with Ballin’s interjection, and he quickly creates some resentment among the group. As they hurry to ready themselves for the Boxing Day performance of “Dracula,” things become complicated. The most troubling complication occurs when Caroline stumbles over a pile of theatre curtains in a dark corridor backstage that turns out to be a dead body. The victim is none other than the mysterious stranger. To make matters worse, the cause of death was the sharpened end of a broomstick being plunged into his chest, piercing his heart. It is here where Anne Perry resorts to what she knows best --- the creation of a traditional “locked room” mystery. As the Netheridge mansion is snowbound and there is no access in or out, the murderer must be one of the group that has been working closely together for days on “Dracula.” Caroline turns to natural instincts that she has instilled in her daughter, as she decides to take the role of lead investigator before the actual authorities are able to arrive. The questions abound: Who was Ballin, and which member of the Netheridge guest list would have reason to kill him? Ballin had indicated during his many insights into the play that “the very power of evil is that it is not recognizable to us most of the time. It is not repellent at all. It does not attack, it seduces.” How will Caroline determine what evil seduced Ballin himself and led to his brutal murder? Throughout Perry’s Christmas mysteries, the tales have moved further away from the holiday itself and instead used it more as a backdrop for the sinister murders and plots that indicate to us that evil does not rest even during the holiest of times. Any fans of Perry’s prior work or those who enjoy Victorian mysteries, theater or simply the classic novel by Bram Stoker will find much to cheer about with A CHRISTMAS HOMECOMING --- a novel that will chill you as you sit by a warm fireside and prepare for another holiday season.